Dr. Stewart and Dr. Hull at Stewart and Hull Aesthetic and General Dentistry can fix a chipped tooth by determining the right solution and expertly performing the procedure. 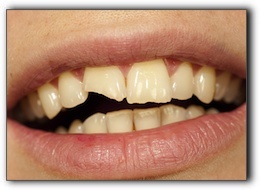 Decay, missing teeth, braces, and even crowns can impact the course of treatment. Time is often an important factor when it comes to tooth repair, so don’t wait; call 616-827-7019 to schedule an appointment. Our address is 769 York Creek Dr NW, Comstock Park, Michigan 49321. We’ve been around since 1974 – serving your neighbors and improving smiles in Belmont, Comstock Park, Grand Rapids, Sparta, Walker and Rockford, MI. We offer porcelain veneers, general dentistry, implant dentistry, Invisalign, teeth whitening and much more. Dr. Stewart and Dr. Hull deliver exceptional results.